Elaeagnus Ebbingei is a great landscape evergreen shrub, also known as Limelight Silverberry and is native to Japan. This shrub will grow into a thorny bush of 2 metres height making it perfect for hedging and screening purposes. 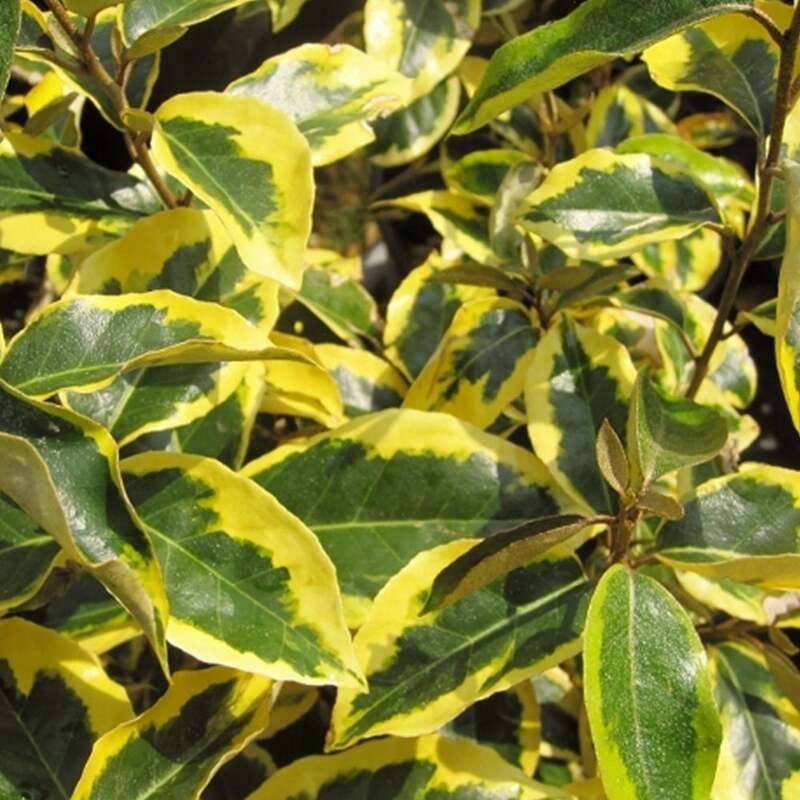 It features variegated foliage that lasts all winter long, providing wildlife interest and glowing any dull corners of your garden. Limelight Silverberry bears young leaves that will develop irregular patches of dark green, with golden and lime green margins. The leaves have silvery undersides and are commonly used for flower arrangements. This Elaeagnus shrub blooms small white flowers in autumn, though insignificant in numbers, still manage to produce beautiful red berries in spring. Birds and pollinators love this plant, as it provides shelter, food and guard. Limelight Silverberry thrives in full sun to partial shade, planted in a well-drained moist or neutral soil. Once the shrub will establish, it will become drought tolerant. Protect it from cold winter breeze and direct sun. Its flowers carry fragrance that will attract bees. The variegated foliage finds its best use in bouquets. Since the bush is slightly spiny, it is suitable for planting as a hedge or flower border. Elaeagnus Limelight Silverberry is an excellent shrub providing winter interest.